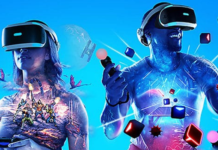 Oculus Santa Cruz: A release early 2019 for the replacement of the Rift? 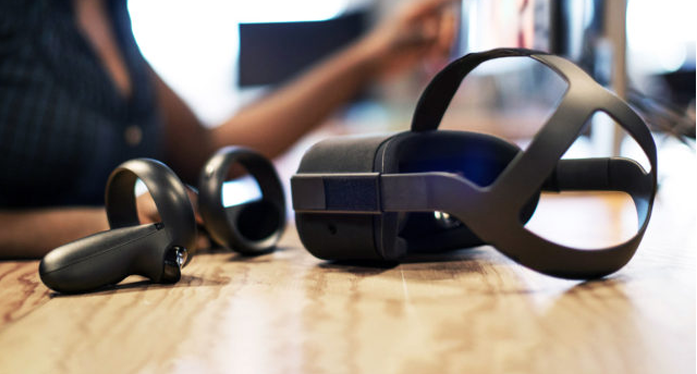 It’s been almost two years since we learned that Oculus was working on replacing its high-end virtual reality headset, the Rift, with a new version. Code name Santa Cruz. Last year at the opening keynote of the event Oculus Connect, we had new images of this new wireless headset and its new motion controllers (video at the bottom of the article). Facebook CEO Mark Zuckerberg had also announced that the prototype would arrive in 2018 at developers. The new VR headset Oculus will be launched in the first quarter of 2019. All content currently playable on the Rift should be compatible with the new headset. The device embeds its own mobile PC, to deliver graphics performance worthy of the best PC headsets. 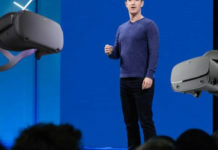 In addition, as part of the Oculus Connect 4, Facebook has announced that the headset will come with controllers similar to Oculus Touch, incorporating infrared LEDs, offering six-degree freedom of movement. These controllers will also be tracked by the four sensors built into the helmet. The firm is very proud to have been able to solve the design and engineering problems that this compatibility poses. Oculus also explains that its goal has always been to offer the magical experience offered by a PC VR headset on a stand-alone wireless device. Originally announced during the Oculus Connect 3, Project Santa Cruz has come a long way in one year. The newest prototype is much less impressive, and the controllers allow you to use your hands in VR, greatly improving the feeling of immersion and freedom. Until today, the Californian firm had remained very evasive on the Santa Cruz project, in preparation since 2016. 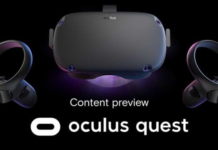 Indeed, during the conference Oculus Connect 3, its CEO had raised the possibility of offering a headset autonomous and affordable VR which would revolutionize the market. Since no news or just a few tweets about it. 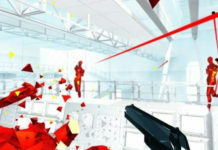 However, some leaks evoking its imminent presentation and some of its features have revived this rumor. The ‘Santa Cruz’, whose name we do not yet know, would be a mix between the Rift and the Go. 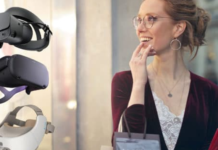 In other words, this headset would be completely autonomous, without cables, and would not require a computer to function. In addition, we would find the performance of the Oculus Rift within this model. However, the complexity of such a project suggests that it could be an intermediate model between Rift and Go. We also know that this headset would support tracking ‘6DOF’ (ability to move in all directions) and an ‘inside-out tracking’. In other words, it would not be necessary to have external sensors: they would be integrated directly into the headset. It would also be equipped with Oculus Touch controllers and could be compatible with the majority of Oculus Rift games. With this standalone headset, Oculus wants to outdistance its competitors and strengthen the Oculus Go, considered too low by some observers. If this headset came out, it would be a significant step forward in the world of VR. In addition, the company would take an important step toward the democratization of this technology. For the moment, we have no information on the price of the helmet. However, it should be around 400-500$. 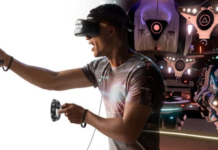 For the commercialization of the helmet, Oculus would count on the first quarter of 2019. It is not difficult, just ask yourself what can you offer to help others. These links want make an expert within your field.